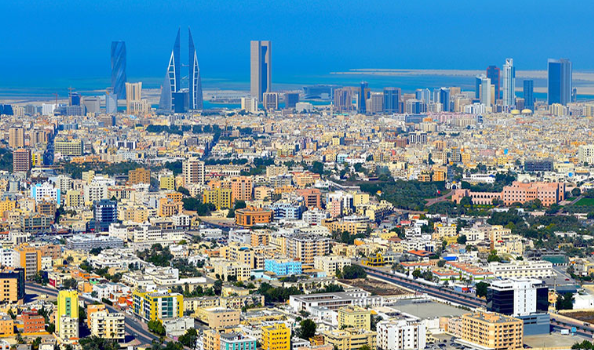 The outlook for the Bahraini banking system remains negative, as constrained government spending will weaken economic growth, says Moody’s Investors Service in a report published yersterday. “Despite a rise in oil prices, the government’s budget deficit will oblige it to constrain spending, which will moderate growth in the non-oil economy. Higher borrowing costs due to rising interest rates, and reduced subsidies will weigh on corporate and household income, putting mild pressure on loan quality. In addition, rising government debt is reducing the government’s capacity to support the country’s banks in a crisis” says Ashraf Madani, a Vice President and Senior Analyst at Moody’s, and author of the report. Moody’s expects economic growth to slow to 2.8% in 2018 from 3.9% in 2017 as the government constrains spending, due to its large budget deficit. As a result, credit growth will decelerate slightly to 5%-7% from 8% in 2017. Net income at Bahraini banks will decline slightly to around 1.3% of average assets in 2018, compared with 1.4% in 2017. This is mainly due to higher loan-loss provisions as problem loans rise. Pre-provision profit will likely remain at around 1.9% of average assets benefitting from cost-cutting initiatives. Nonetheless, capital will remain strong and stable. Moody’s says that it expects average tangible common equity to remain at 12.3% of adjusted risk-weighted assets, as moderate loan growth is balanced by the banks’ strong profit retention.